In its initial December 2016 review, the New York Times called Dear Evan Hansen a "gorgeous heartbreaker of a musical." Vulture said it was a musical "so fine in its craft and rich its gathering of themes that, like the best works of any genre, it rewards being seen again - and again." Critics were especially enthralled with original songs by Pasek and Paul and an otherworldly performance from Ben Platt as the lead character. Fast forward to summer 2017. 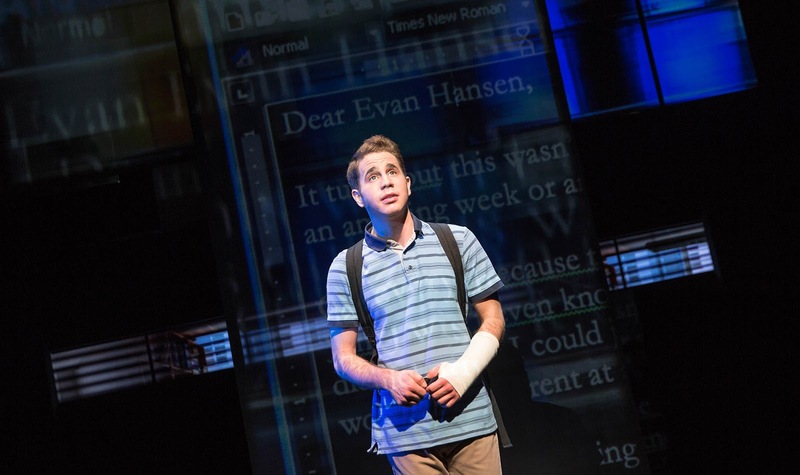 Dear Evan Hansen wins 6 Tony Awards, including Best Musical. Pasek and Paul add to their trophy shelf after winning a Best Song Oscar for "City of Stars." And thanks to an official Owl City cover, you might hear "Waving Through a Window" on your local top 40 radio hit soon. In celebration of Dear Evan Hansen's success, here's some fun facts about the show. You can download all of the official Dear Evan Hansen sheet music now on Sheet Music Direct. 1. Originally, Dear Evan Hansen had a different plot. During an ABC News interview, Justin Paul revealed that the show was originally supposed to have a slightly different storyline about people inserting themselves into other people's tragedies. "It was a cynical look at that," Paul said. "And [as] we started to write, it became clear to us that it wasn't an interesting musical. There wasn't any heart to that. So we really tried to look at it from a different view, which was, 'What experience does someone have that they're in such a place that when given any opportunity to fib a little bit, [they] say that they had a connection to someone that they didn't have a connection to?'" Platt starred in two Pitch Perfect movies before the massive success of Dear Evan Hansen. He is 23 and said he has been appearing in shows since he was 6. His Broadway debut was in The Book of Mormon. The Arena Stage is a not-for-profit regional theater in Washington, D.C. It was a pioneer in 1950 of the Regional Theater Movement. Pasek and Paul met at the University of Michigan where they both completed their BFA degrees in musical theatre in December 2006. In 2010, Pasek and Paul joined the creative team of A Christmas Story, The Musical. The musical opened at Seattle's 5th Avenue Theatre on December 9, 2010. We have a huge collection of Broadway sheet music, find it here.